The European Rejuvenation Center offers a certified colon therapist who provides the best in wellness services, starting with the celebrated colon hydrotherapy treatment. There are other services offered at the center which provides full, professional treatment that leaves clients feeling better, more energetic, and happier about their renewed state of being. It’s little wonder that more people are discovering the therapies available at this remarkable center. The owner of the European Rejuvenation Center is herself a certified colon hydrotheraphist, providing expert treatment to her clients while also providing several other excellent wellness services. Celina Toczydlowska has lived the storybook American dream. Born in Poland, Celina came to the US in 1991 and cared mostly for elderly patients for the next decade until being inspired by a television program that introduced her to colon hydrotherapy. 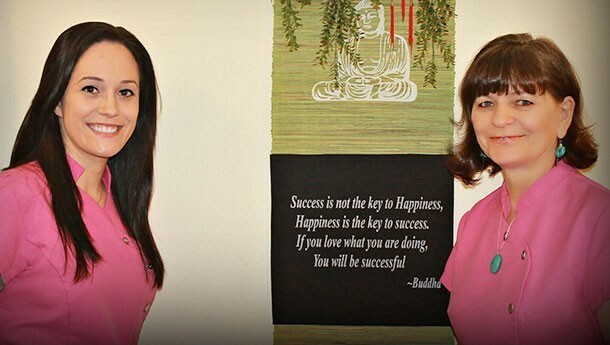 After completing her education at the Maui’s School of Colon Hydrotherapy, Celina opened her first business in Seattle in 2003, followed by a second location in Bellevue, Washington in 2010. The physical ailments associated with the intestinal tract, including bloating, fatigue, cramping, and constipation, may be relieved through the colon hydrotherapy treatment. This treatment serves as the foundation of services at the European Rejuvenation Center, a center dedicated to the treatment of people from all walks of life who suffer from such symptoms. For those who visit the European Rejuvenation Center, there are several services that you will enjoy as part of your stay. Aqua-Ionic Foot Spa: This helps to cleanse the body of toxins using a safe, proven procedure that also improves circulation while allowing your body to better absorb oxygen and nutrients. Cellulite Reduction through Lipomassage: This type of treatment is new and most promising as it deeply massages the body to better contour your shape and reduce the appearance of cellulite. This procedure is non-invasive, pain-free, and does not use medications or any drug to help your skin become more elastic and supple. Crystal Healing Bed: With seven clear, highly polished crystals positioned 12 inches above the bed, you can feel how it taps into your chakras and provides healing therapy. Treatments last from 20 to 45 minutes and can help lower anxiety, restore balance, and benefit all who utilize this service. Your colon therapist does more than just treat one part of your body. You can experience treatments that will enhance your wellbeing, restore your energy, and provide a sense of balance that you may not have felt in a long time. At the European Rejuvenation Center, you will find the best in wellness services that boost your mind and body. ‹ Wishing All Moms A Very Happy Mother’s Day!